French investors are seeking to develop pork production in the Perm Territory. Austrian and Swiss investors are already working in the region, having invested over 250 million euros in it. Governor Viktor Basargin tells RBTH about the region’s cooperation with its foreign partners. 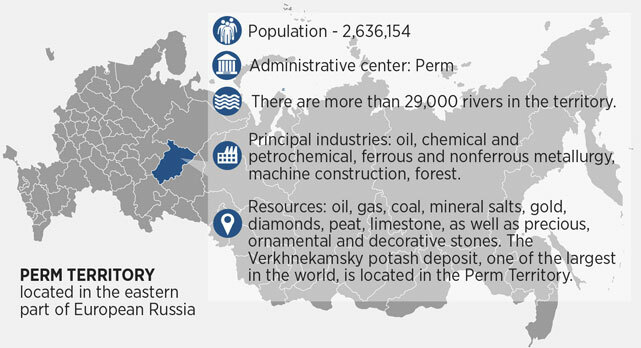 Last year, total investment in the economy of the Perm Territory amounted to some $4 billion (160 billion rubles). We expect that the 2014 figure will be similar. As for foreign investment, so far all the agreements are being fulfilled. We are cooperating with Swiss investors in the timber industry; so far they have been true to their obligations. The project is for an added-value wood processing plant (to convert wood shavings into special boards to be used in furniture making – RBTH). Our partners have already invested some $13 million (10 million euros), and the total amount of investment is expected to reach $320 million (250 million euros). The project is in an active phase: Land has been allocated, as well as timber resources, and some infrastructure work has already been completed. We are also working with our Austrian partners in the production of resins and petrochemical products. Here too all the obligations have been honored, to the tune of $3.8 million (3 million euros). There are also several smaller projects. Active talks are under way with a French business, which intends to launch a food production project in our region. This example confirms the truth of what the head of a European association of industrialists said at the Sochi forum, that if European businesses cannot cooperate with Russia directly, they will be looking for opportunities to enter the Russian domestic market. The French will help us develop an existing but technologically outdated project for pork production. The plan is to upgrade a major farm, of 150,000 pigs. The expected investment is about $64 million (50 million euros) over a period of two years. From the point of view of foreign economic operations, there is an increase compared to the previous year, of some 7 percent. By the end of the year, we expect it to reach 10 percent. Our main distribution markets are Asia and Latin America, where we sell paper, potassium and magnesium salts, petroleum and chemical products. Last year, we began cooperating with two regions in China. In future, we want to launch several joint projects. For the time being, in the short-term, we plan to set up joint financial funds, which – in the event of financial problems – will be able to support the implementation of these projects.